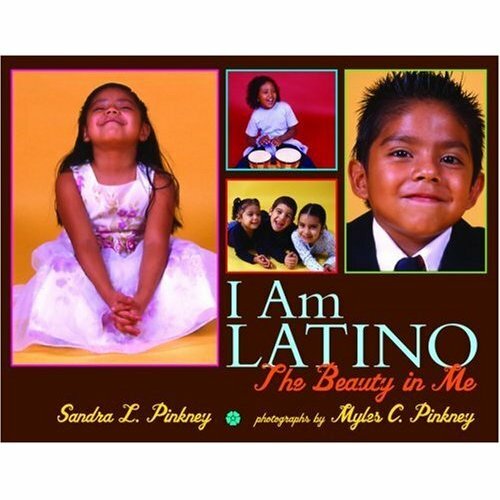 The picture book, “I am Latino” is a celebration of Latino children everywhere and their various shades, cultures, and customs that define them. While the book is for ages 4-8, it would surely serve adults as well, especially the kind who like to remind me rather often that I do not look 1) Dominican and 2) Hispanic. If I don’t look Dominican or Hispanic, why do all those little old Dominican ladies keep coming up to me asking me questions? Take that, you skeptical delusional few. Yup, like Jews, Latinos come all shapes in colors. And there “I am Latino” will soon have a Jewish companion. Debra Darvick is working on “I love Jewish Faces,” a children’s picture book which hopes to capture Jews in all their shapes and colors. Look for it this September at URJBooksandMusic.com. Be sure that as soon as it’s out, I’ll be mentioning it again. It is all too often that I go to a book store and see little, if any books at all for Latino children. Yes, do pass it along!! I love it when one can “shut people up” in a very classy sort of way…..I can't recall how many times I've told people we come in all shades and yet the foolishness continues. Speaking of children's books, some years ago I purchased a book titled 'Many Ways' for my daughter who was struggling with the many different religions, especially since her father had become an Israelite. My daughter was about 4 years old and she was confused with her fathers new customs. She began asking questions and I found this gem of a book at Barnes and Nobles that simplified everything for her. The book covered the large diversity in practices and religious traditions around the world. It is a beautiful book with magnificent photos. The book is also for ages 4-8. Just saying….since we're talking about books…. Ha! I blogged about this recently. People have a hard time understanding that everyone is a square peg and labels are round holes. Everyone has something “atypical” it keeps it interesting! This is probably why I have such a hard time saying I'm a Jew of Color, since I'm a white Hispanic Jewish girl, hehe. Thanks for the recommendation! we've had this book for a couple of years — a friend gave it to us for eli's birthday. he likes to look at it periodically — but i think he'll like it even better as he gets older! P.S. thanks to the internet, we've found all kinds of great children's books en espanol, with pictures and photos that are more akin with customs of Latin American than Gringo America. and lots of books of folk tales. Que beuno! Aliza, thank you so very much for mention of I Love Jewish Faces. We are just wrapping up the final photos. Might still need one for the “Sabbath faces” page — Jews of color, African American and/or Latino Readers are invited to submit one to me. Can't wait to share it with you all. I LOVED Her Sister's Keeper. Picoult didn't get such a great write-up in the NYTimes this past Sunday but she has a niche and crafts riveting plots. Thank you again for giving your readers a heads up.